**Born to be My Baby (Canyon Creek, CO Book 1) (Deal, Not Free) by Lori Ryan, Kay Manis. Price: $0.99. Genre: Steamy Contemporary Romance Deal of the Day, Sponsor, NY Times Bestselling Author. Rated: 4.5 stars on 58 Reviews. 364 pages. ASIN: B077XJY519. NY Times Bestselling Author Lori Ryan. $1 Steamy Romance Box Set Deal, Thought-Provoking Read! *(Box Set Deal, Not Free) Beyond The Grave Series: Books 1 & 2 Box Set (Sage and Ethan’s complete story) (Beyond The Grave Series – Box Set ) (Deal, Not Free) by Athena Daniels. Price: $0.99. Genre: Steamy Romance Box Set Deal of the Day, Sponsor, Paranormal Romance, Sage and Ethan’s Story. Rated: 4.6 stars on 30 Reviews. 729 pages. ASIN: B07B2YGYJS. 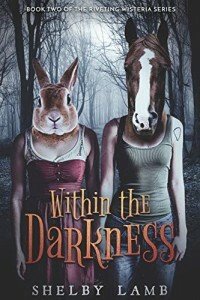 Terrifying $1 Dark Steamy Horror Novel, Fantastic Read! Excellent *** $1 Steamy Romance Novel, Great Read! ***After You by Stephanie Rose. Price: Free. Genre: Multicultural Steamy Romance, Inspirational, Women’s Fiction. Rated: 4.8 stars on 175 Reviews. 230 pages. ASIN: B06WRWJY86. **Tame Me (Zane Series: Book 1) by J.L. Leslie. Price: Free. Genre: Contemporary Steamy Romance, Parenting & Relationships, Love & Romance. Rated: 4.7 stars on 59 Reviews. 169 pages. ASIN: B01BLKYQ6G. ***Fire In The Darkness (Darkness Series 2) (Repeat) by Stacey Marie Brown. Price: Free. Genre: Paranormal Steamy Romance, New Adult & College. Rated: 4.6 stars on 313 Reviews. 329 pages. ASIN: B00EF5DCII. **Winter Nights: Ten Book Boxed Set by Penny Reid. Price: Free. Genre: Steamy Romance Box Set of the Day, Sponsor, NY Times Bestselling Author, A Must Read set of 10 Romance. Rated: 4.8 stars on 55 Reviews. 999 pages. ASIN: B07K7NNMH9. *Two Months and Three Days (Sinister Romance Book 1) (Deal, Not Free) by Tatiana Vedenska, Ksenia Akulova. Price: $0.99. 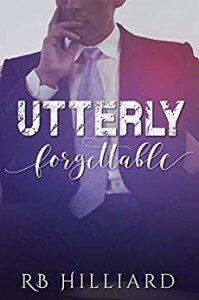 Genre: Steamy Romance Deal of the Day, Sponsor, He is Handsome and Sophisticated and a Talented Artist, She is Innocent and Simple and Beautiful. Rated: 4.4 stars on 7 Reviews. 357 pages. ASIN: B07FQT51NS. ISBN: 172383534X. *TURMOIL: Bratva Fury (book 2) (Deal, Not Free) by Alexi Ferreira. Price: $0.99. Genre: Steamy Romance Deal of the Day, Sponsor, Second Chance Romance. Rated: 4.6 stars on 3 Reviews. 141 pages. ASIN: B07GXJXM39. *THE GODS SMILED: a Charlie and Sissy Story (Charlie and Sissy Book 1) (Deal, Not Free) by Roge Poole, Roger Poole. Price: $0.99. Genre: Steamy BWWM Romance Deal of the Day, Sponsor. Rated: 5 stars on 1 Reviews. 106 pages. ASIN: B07HJRZG56. **Born to be My Baby (Canyon Creek, CO Book 1) (Deal, Not Free) by Lori Ryan. Price: $0.99. Genre: Steamy Contemporary Romance Deal of the Day, Sponsor, NY Times Bestselling Author, Small Town Romance that makes you feel part of it. Rated: 4.5 stars on 55 Reviews. 364 pages. ASIN: B077XJY519. NY Times Bestselling Author Lori Ryan. ***Roomie Wars (Deal, Not Free) by Kat T. Masen. Price: $0.99. Genre: Steamy Contemporary Romance Deal of the Day, Sponsor, Her Ex Broke Her, Can Her Roommate put Humpty Dumpty back together again. Rated: 4.3 stars on 266 Reviews. 263 pages. ASIN: B01GQW4U38. *The First Rule of Hook-Ups (Breakup Bash Book 1) (Deal, Not Free) by Nina Crespo. Price: $2.99. Genre: Steamy Romance Deal of the Day, Sponsor, A Woman ditched at the Altar, The Man of her Fantasies Dancing on the Stage, This time she is not engaged. Rated: 4.6 stars on 24 Reviews. 203 pages. ASIN: B07JLSK6HR. *(Free for Kindle Unlimited) Taming Wes (Billingsley Book 3) (Deal, Not Free) by Melissa Ellen. Price: $3.99. Genre: Steamy Romance Deal of the Day, Sponsor, Women’s Fiction. Rated: 4.7 stars on 29 Reviews. 217 pages. ASIN: B07K6WCSLM. Get the paperback version at $13.99 here, please. *Urban Marriage 3: Intimacy Restored, Lesbian Newlyweds by Tulipe Pascere. Price: Free. Genre: Steamy Lesbian Romance of the Day, Sponsor. Rated: 5 stars on 1 Reviews. 140 pages. ASIN: B07GXLFPVM. **Riggs: Satan’s Fury MC- Memphis Chapter (Book 3) (Deal, Not Free) by L. Wilder, Lisa Cullinan. Price: $0.99. Genre: Steamy Second Chance Romance Deal of the Day, Sponsor, NY Times Bestselling Author. Rated: 4.8 stars on 78 Reviews. 235 pages. ASIN: B07KFN7VDQ. NY Times Bestselling Author L. Wilder. ***El Santo by M. Robinson. Price: Free. Genre: Contemporary Steamy Romance, New Adult & College. Rated: 4.7 stars on 480 Reviews. 227 pages. ASIN: B076N66PTD. ***Shattered (Broken Trilogy Book 2) by J.L. Drake. Price: Free. Genre: Military Steamy Romance, Romantic Suspense, New Adult & College. Rated: 4.7 stars on 423 Reviews. 228 pages. ASIN: B00WBMKEII. ***Honey Bee by Heather Shere. Price: Free. Genre: Sports Steamy Romance, Romantic Comedy, Contemporary. Rated: 4.6 stars on 128 Reviews. 316 pages. ASIN: B01NCY5EJL. **Burn (Elemental Hearts Book 1) by Jayelle Morgan. Price: Free. Genre: Fantasy Steamy Romance, Paranormal. Rated: 4.6 stars on 69 Reviews. 282 pages. ASIN: B01M0GWEYC. *Cut & Blow: Book Three by Ashleigh Giannoccaro. Price: Free. Genre: Steamy Romance Suspense, Contemporary. Rated: 4.9 stars on 45 Reviews. 166 pages. ASIN: B079NRKQ7J. *Amidst This Fading Light by Rebecca Davis. Price: Free. Genre: Historical Romance. Rated: 4.8 stars on 13 Reviews. 224 pages. ASIN: B07FN4W447. *Anchored: Book One of The Crashing Tides Duet by Ruby Rowe. Price: Free. Genre: Steamy Romance Suspense, Contemporary. Rated: 4.9 stars on 31 Reviews. 342 pages. ASIN: B07D6WVKRD. *Darkness and Joy (Dark Joy Series Book 1) by Jess Lance. Price: Free. Genre: Paranormal Vampires Romance, Dark Fantasy Horror. Rated: 4.6 stars on 22 Reviews. 250 pages. ASIN: B01MUV0MSN. *Defiant (Blaze Trilogy Book 1) by H.G. Lynch. Price: Free. Genre: Paranormal Steamy Romance, Vampires, Werewolves & Shifters. Rated: 4.7 stars on 16 Reviews. 137 pages. ASIN: B017XWM0TG. Unbearable Fear: Bears of Aria by ML Guida. Price: Free. Genre: Science Fiction Steamy Romance, Military, Paranormal. Rated: 5 stars on 4 Reviews. 190 pages. ASIN: B07H36WDVQ. **Without Consequence (Babylon Book 1) (Repeat) by Victoria L. James. Price: Free. Genre: Contemporary Steamy Romance. Rated: 4.7 stars on 57 Reviews. 270 pages. ASIN: B00QO78OAQ. *Riggs: Satan’s Fury MC- Memphis Chapter (Book 3) (Deal, Not Free) by L. Wilder, Lisa Cullinan. Price: $0.99. 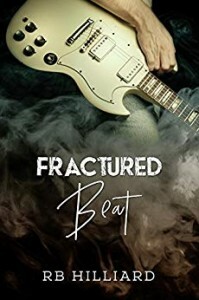 Genre: Steamy Romance Deal of the Day, Sponsor, NY Times Bestselling Author, MC Club Romance, Standalone with a Heart Gripping HEA. Rated: 4.8 stars on 59 Reviews. 235 pages. ASIN: B07KFN7VDQ. NY Times Bestselling Author L. Wilder. **Winter Nights: Ten Book Boxed Set by Penny Reid. Price: Free. Genre: Steamy Romance Box Set of the Day, Sponsor, NY Times Bestselling Author, Authentic Characters, Contemporary. Rated: 4.8 stars on 55 Reviews. 999 pages. ASIN: B07K7NNMH9. 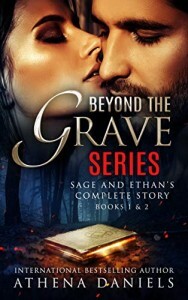 *Beyond The Grave Series: Books 1 & 2 Box Set (Sage and Ethan’s complete story) (Beyond The Grave Series – Box Set ) by Athena Daniels. Price: Free. Genre: Steamy Paranormal Romance Box Set of the Day, Sponsor, 2 Book Box Set. Rated: 4.5 stars 10 Reviews. 729 pages. ASIN: B07B2YGYJS. ***Girl Unseen (Beyond The Grave Series Book 3) (Deal, Not Free) by Athena Daniels. Price: $0.99. 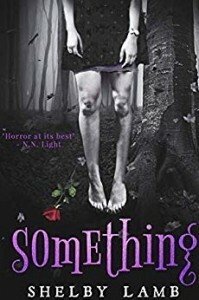 Genre: Steamy Romance Suspense Deal of the Day, Sponsor, How far will you go to help a Traumatized Spirit get Revenge. Rated: 4.6 stars on 104 Reviews. 276 pages. ASIN: B071Z1RMZ1. *Ctrl-Alt-Delete (Hagar Trilogy Book 1) (Deal, Not Free) by Dave Lewis. Price: $0.99. Genre: Steamy Psychological Thriller Deal of the Day, Sponsor, Serial Killer Thriller, Realistic and Fast Paced. Rated: 5 stars on 2 Reviews. 306 pages. ASIN: B005Z284A6. *TURMOIL: Bratva Fury (book 2) (Deal, Not Free) by Alexi Ferreira. Price: $0.99. Genre: Steamy Contemporary Romance Deal of the Day, Sponsor, Can they Forget the Past and Start Over. Rated: 4.6 stars on 3 Reviews. 141 pages. ASIN: B07GXJXM39. *THE GODS SMILED: a Charlie and Sissy Story (Charlie and Sissy Book 1) (Deal, Not Free) by Roge Poole, Roger Poole. Price: $0.99. Genre: Steamy Romance Deal of the Day, Sponsor, Multicultural Romance, An Architect and an Attorney, Breaking the Mould. Rated: 5 stars on 1 Reviews. 106 pages. ASIN: B07HJRZG56. *More Than A Model: Caught In The Moment – Brand New Read & See – Short Bonus Film At The End (Deal, Not Free) by Phebe Solar. Price: $0.99. Genre: Steamy Romance Deal of the Day, Sponsor, Artist and Model Romance. Rated: 4 stars on 8 Reviews. 46 pages. ASIN: B07K8P31MD. **Born to be My Baby (Canyon Creek, CO Book 1) (Deal, Not Free) by Lori Ryan. Price: $0.99. Genre: Steamy Romance Deal of the Day, Sponsor, NY Times Bestselling Author, Fun, Heartwarming Story, Hard to put down. Rated: 4.5 stars on 55 Reviews. 364 pages. ASIN: B077XJY519. NY Times Bestselling Author Lori Ryan. *The First Rule of Hook-Ups (Breakup Bash Book 1) (Deal, Not Free) by Nina Crespo. Price: $2.99. Genre: Steamy Contemporary Romance Deal of the Day, Sponsor, Regaining Love After Being Left at the Altar, Recovering After Betrayal. Rated: 4.6 stars on 24 Reviews. 203 pages. ASIN: B07JLSK6HR. *(Free for Kindle Unlimited) Taming Wes (Billingsley Book 3) (Deal, Not Free) by Melissa Ellen. Price: $3.99. Genre: Steamy Contemporary Romance Deal of the Day, Sponsor, Romance Comedy, Friends with Benefits. Rated: 4.7 stars on 29 Reviews. 217 pages. ASIN: B07K6WCSLM. Get the paperback version at $13.99 here, please. ***Roomie Wars (Deal, Not Free) by Kat T. Masen. Price: $0.99. Genre: Steamy Romance Comedy Deal of the Day, Sponsor, Sweet Friends to Lovers Romance, The Perfect Roommate might be a bit too Perfect. Rated: 4.3 stars on 266 Reviews. 263 pages. ASIN: B01GQW4U38. ***Three Under The Tree by KB Winters. Price: Free. Genre: Holidays Steamy Romance, Military. Rated: 4.7 stars on 170 Reviews. 256 pages. ASIN: B077VVDGL6. **Alpha Rancher Bear (Bears of Pinerock County Book 3) by Zoe Chant. Price: Free. Genre: Multicultural Steamy Romance, New Adult & College, Adventure. Rated: 4.5 stars on 89 Reviews. 135 pages. ASIN: B01DT3WXEK. **Guardian Lion (Cedar Hill Lions Book 2) by Zoe Chant. Price: Free. Genre: Shifters Steamy Romance, Fantasy, Military. Rated: 4.7 stars on 63 Reviews. 144 pages. ASIN: B01LYAOJKO. **Stripped Bare (Love & Trust Series Book 1) by Lyssa Cole. Price: Free. Genre: Steamy Romance Suspense, Contemporary. Rated: 4.6 stars on 57 Reviews. 193 pages. ASIN: B01N5TFCB6. *Merry Inkmas by Talia Hibbert. Price: Free. Genre: Multicultural Steamy Romance, Holidays. Rated: 4.4 stars on 76 Reviews. 211 pages. ASIN: B077NTCPVP. *Alpha’s Loyalty (Code of the Alpha) by Lola Gabriel. Price: Free. Genre: Gothic Steamy Romance, Paranormal. Rated: 4.4 stars on 52 Reviews. 146 pages. ASIN: B07F5VM985. *Bear Guard (Enforcer Bears Book 5) by Zoe Chant. Price: Free. Genre: Shifters Steamy Romance, Paranormal. Rated: 4.4 stars on 37 Reviews. 130 pages. ASIN: B076NYVCYW. *Fae Bound by J.R. James. Price: Free. Genre: Fantasy Steamy Romance, Mythology & Folk Tales. Rated: 4.7 stars on 27 Reviews. 171 pages. ASIN: B07FNTQSYQ. *Daisy and the Dead: (Book 1) by Sarah Bale. Price: Free. Genre: Gothic Steamy Romance, Paranormal. Rated: 4.7 stars on 24 Reviews. 159 pages. ASIN: B01NAUYE0H. **The Billionaire Dragon Shifter Meets His Match (Gray’s Hollow Dragon Shifters Book 6) by Zoe Chant. Price: Free. Genre: Shifters Steamy Romance, Fantasy. Rated: 4.7 stars on 52 Reviews. 127 pages. ASIN: B01HU7XZ20. *If She Were Blind (The After Twelve Series Book 1) (Deal, Not Free) by Laney Wylde. Price: $0.99. Genre: Adult Romance Deal of the Day, Sponsor, Revenge and Grit. Rated: 5 stars on 6 Reviews. 173 pages. ASIN: B07FY82KDJ. *Mistress of Desire & The Orchid Lover Book II The Quest: One Love In A Lifetime ~ The Quest (Deal, Not Free) by J. A. Jackson, Jerreece Jackson. Price: $0.99. Genre: Adult Paranormal Thriller Deal of the Day, Sponsor, An Ancient Curse. Rated: 5 stars on 1 Reviews. 179 pages. ASIN: B07HR1KSHN. Crimson Kisses (Marked Souls Book 1) by Sabrina Shelley. Price: Free. Genre: Paranormal Steamy Romance, Psychics, Angels. Rated: 4.1 stars on 5 Reviews. 203 pages. ASIN: B07GDS43PF. *Ctrl-Alt-Delete (Hagar Trilogy Book 1) (Deal, Not Free) by Dave Lewis. Price: $0.99. Genre: Steamy Psychological Thriller Deal of the Day, Sponsor, A Serial Killer. Rated: 5 stars on 2 Reviews. 306 pages. ASIN: B005Z284A6. *Auracle by Vera Wellner. Price: Free. Genre: Young Steamy of the Day, Sponsor, Coming of Age, Spiritual. Rated: 5 stars on 1 Reviews. 127 pages. ASIN: B01NBCNXQW. *Ctrl-Alt-Delete (Hagar Trilogy Book 1) (Deal, Not Free) by Dave Lewis. Price: $0.99. 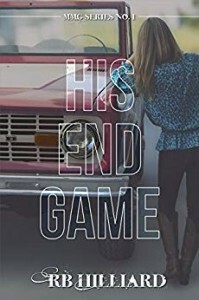 Genre: Steamy Thriller Deal of the Day, Sponsor, Suspense Thriller, A Prophetic Tale of Intrigue. Rated: 5 stars on 2 Reviews. 306 pages. ASIN: B005Z284A6. *Metal Angels – Part One (Deal, Not Free) by D K Girl. Price: $0.99. Genre: Steamy SciFi Romance Deal of the Day, Sponsor, A War between Ancient Gods, Alien Technology, One Lone Human in the Crossfire. Rated: 4.3 stars on 5 Reviews. 306 pages. ASIN: B079ZR4BF9. *If She Were Blind (The After Twelve Series Book 1) (Deal, Not Free) by Laney Wylde. Price: $0.99. Genre: Steamy New Adult Romance Deal of the Day, Sponsor, Gritty Social Issues Drama Filled with Intrigue and Bittersweet Revenge Plots. Rated: 5 stars on 6 Reviews. 173 pages. ASIN: B07FY82KDJ. *Ctrl-Alt-Delete (Hagar Trilogy Book 1) (Deal, Not Free) by Dave Lewis. Price: $0.99. Genre: Steamy Thriller Deal of the Day, Sponsor, A Journey through South Wales, A Serial Killer. Rated: 5 stars on 2 Reviews. 306 pages. ASIN: B005Z284A6. *Metal Angels – Part One (Deal, Not Free) by D K Girl. Price: $0.99. Genre: Steamy SciFi Romance Deal of the Day, Sponsor, Area 51 on Steroids. Rated: 4.3 stars on 5 Reviews. 306 pages. ASIN: B079ZR4BF9.